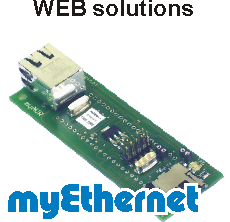 The Accessories are "Helpers", which support the work with myMCU products; e.g. 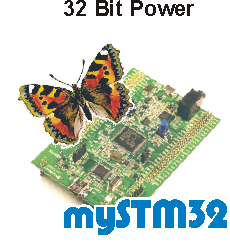 realize connections, protect boards from scratches, solder self-assembly kits, etc. For use as bulk storage or data exchange with other systems. USB adapter to read and write microSD-cards without an extra adapter for the card needed. A clean machine! The feet of boards are used to protect against scratches and are quickly and easily installed. Complete assembled power supply unit for the myEthernet. USB cable suitable for the myAVR Board MK3 256 PLUS, the myAVR Stamp256 PLUS, myAVR Stamp64 PLUS and also myAVR Board light. All cables you require to operate your myAVR USB board. A USB cable A-B, ca. 1,80 m.
USB 2.0 extension A/a, 1,80 m long, ideal e.g. when you want to connect the mySmartUSB light with the PC. Universal solution for the in-system-programming. With flat cable, plug and adapter.